Exactly one week ago, E3 was in full-swing in the bright city of Los Angles, California, and a brand new little event was quietly gearing up to happen. That lil' happening was HORIZON. Billed as an "alternative E3 event" and produced in coordination between the indie-game championing website Venus Patrol and the Los Angeles Museum of Contemporary Art's MOCATV, the event promised to showcase a lineup of "incredibly beautiful games" including projects from Double Fine, CAPY, Media Molecule and more. The event is being described as quiet, and indeed that was my first instinct of it, but it wasn't taciturn. 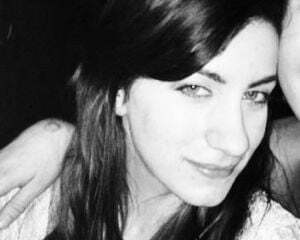 It was more just relaxed, with a sense of effortlessness and openness. What exactly did HORIZON deliver? A solid line up of great-looking indie games to be sure, but perhaps almost indiscernibly -- something more. 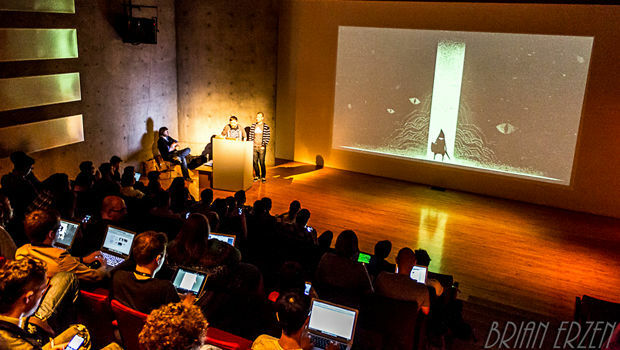 HORIZON was a two-part event, the first being a press conference held in the morning which would showcase new, exciting indie projects, and the second part being a mixer party held in the evening at which several more indie games would be playable. I enjoyed both parts of the event for different reasons. The press conference itself -- tucked away in a basement, bunker-like screening room of the MOCA -- was excellent because I got to hear straight from the developers, designers and creators themselves about what they were doing and why they were excited to share what they have been working on. It didn't feel like these developers were trying to sell me their games, it felt more like in-progress show and tells. This doesn't mean that the items being shown felt unfinished or rushed at all, more just that there wasn't an air of judgement or the unspeakable pressure of big numbers. It was, for all intents and purposes, just a group of artists discussing what they've been up to. More information on each game shown can be found here. The incredibly smoothly executed press conference can also be streamed in its entirety here. The second part of the day's event was a mixer party held in the outdoor plaza/roof-area of the MOCA, with snacks and drinks provided (THOSE CUPCAKES THOUGH) and a host of television islands scattered around the scene which featured various playable indie games. This part was obviously fun because I got to play games, some of which had been featured in the earlier press conference, but some of which I went into totally cold. There were also several works at the mixer that were from developers at the UCLA Game Lab, thereby strengthening the conference's connection to the Los Angeles' games community in general. And that's really where I get into the meat of why the HORIZON event is interesting. It's not just that is was only about indie games; what's interesting about it is its attempt to really bring together the art world and the game world in a new way. For many years, the videogame industry has been seen by many people as purely popular culture and entertainment, and the art community has largely ignored it. 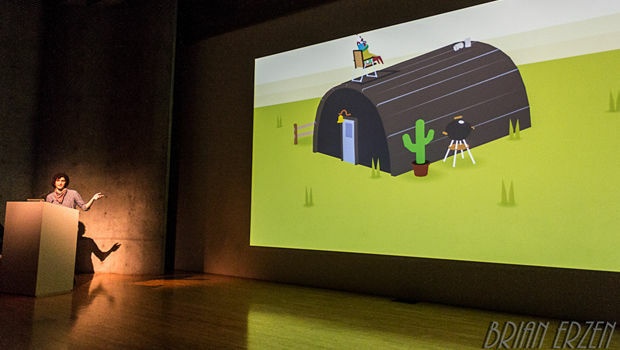 However, in the past few years, coinciding with the increase in recognition of internet-based cultures, the art community has taken a fascination to the videogame world, and in particular indie games -- since there are so many parallels and overlaps in the space between artist as traditional artist and artist as gamer. HORIZON capitalized on this, and I mean that in a good way. 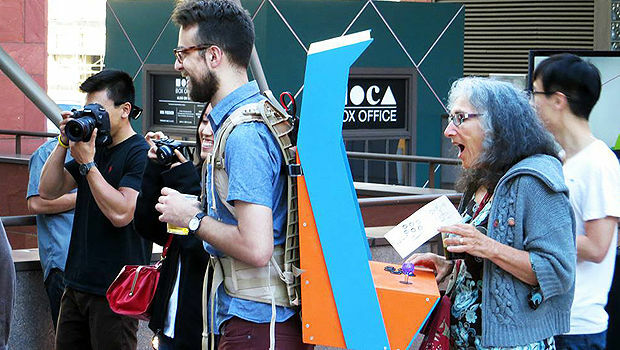 This is a time when big-name art institutions like the MOCA really want to engage in videogames. They recognize that there are interesting things happening there, but they don't really know how to go about it, so it takes people like the minds at Venus Patrol who essentially straddle these two worlds to lead initiatives like HORIZON which can gain recognition for indie games within the art world and hopefully thereby begin to legitimize them in the eyes of art-world traditionalists. The criticism about HORIZION that I have heard whispered in the halls of the internet is that it was perhaps not as well-prepared as it could have been, i.e. that it didn't have as big of names on its bill as it could have. To that I say, in the words of Principal Skinner, "coulda, woulda, shoulda." 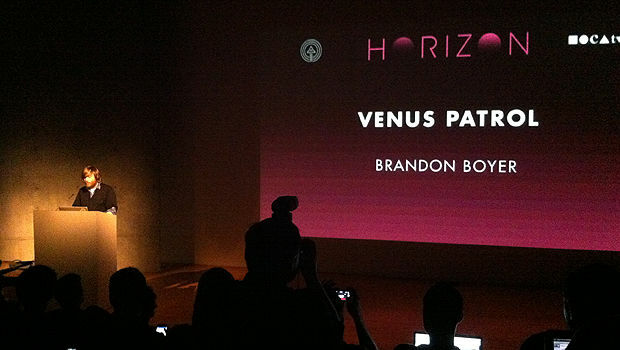 As a fledgeling attempt to, as Venus Patrol founder Brandon Boyer explained, "light a candle, rather than curse the darkness," HORIZON was brave. Will it change the videogame industry? Who knows. But one thing is for sure, it was a great step forward in the eternal quest to make and enjoy more beautiful things. Here's to HORIZON 2014! Stay tuned for my write-up of all the games previewed and played at HORIZON!